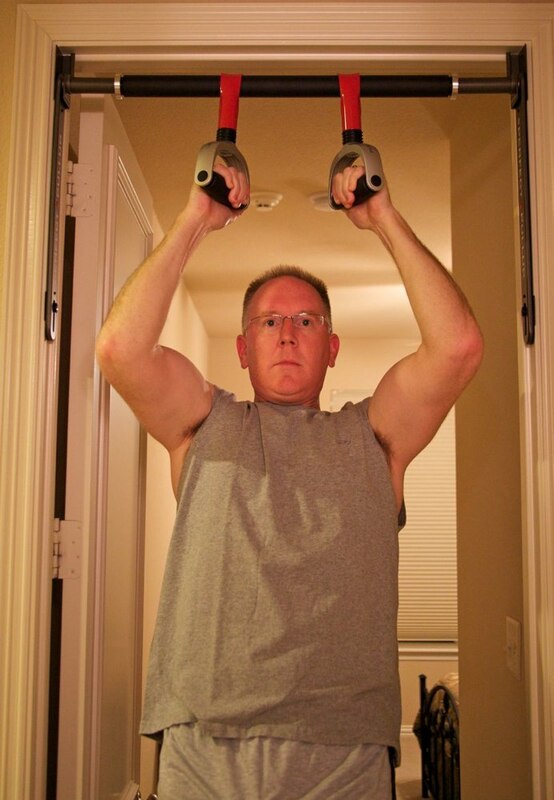 April 30, 2009 By John P.
I’m back with another Health Challenge update for you guys. It’s been about two weeks since the last update, and when I last came to you I weighed 183 (down from a high of 195). Those of you who are checking in on the Health Challenge page have seen me documenting the changes occurring as a result of the Challenge, most recently, the fact that I dropped below 180 today for the first time in a long time. Here is the current summary of activity and results. I did workout on the days in between, but didn’t document except on days when I took a measurement. As you can see, my body fat percentage has decreased by approximately 2% in these three weeks. I actually lost about an additional 1% in the previous couple of weeks, and I’m looking forward to breaking the 20% barrier and being down in the teens once again. Ideally, I would like to be at 10%, so we’ll see how close I can get in our remaining 2 months. That is going to be tough to do given the relatively slow progress in the last month, but I guess I’d be happy to even hit 15% at this point. Keep in mind that I’ve not yet begun to incorporate any aerobic conditioning into my routine. It’s all been strength training up to this point. So I think that when I start getting on the treadmill in the next couple of weeks I might begin to burn through body fat a little quicker. We’ll see. In the meantime, I’ve got a few things for you guys to check out that were shared with me over the last week. Since International Pushup Day is only a couple of weeks away, you might want to try the 100 Pushups workout to get in shape for it. I’m trying it starting at Week 3. Hans sent this little article over: Neuroscience of junk-food cravings, researched in a Chili’s dumpster. It’s about why we eat the crap we eat. And Michael sent this one: INTRODUCTION TO THE PALEOLITHIC DIET. It’s about why some people are slimmer, stronger, and faster. Finally, remember folks that caloric intake restriction is absolutely key to the Health Challenge. All the exercise in the world is not going to amount to anything if you don’t limit the incoming calories! So basically don’t eat anything you don’t need to. Yes Mark, you are correct. All of the exercises are designed for maximum impact, except the curls. Those are purely for vanity. :-) I just want to have really big guns! Fantastic progress John. You are on the right path and I am sure soon you will quite be under 170s. Nice job John! I like the first three exercises you have in the chart; all compound total body functional movement. Arm curls, not so much. I believe long-term consistency is key and changing things up as the body adapts to a routine. I’ll watch for your progress on Twitter! I have a Scale with Body Fat analyzer . You can get em at Amazon, or Target, Walmart, or whatever. $50 or less will get you a good one and they just send a little pulse of electricity through your body to measure. You can’t feel it at all. How are you checking your body fat percentage?